Vessel Mahe 36 named Michelle was produced in 2007. We offer her from base Palma de Mallorca in region very close to Palma De Mallorca. Michelle is registered for 8 crew members. Layout of the yacht is 8 (6+2). Mahe 36 Michelle is equipped with 3 cabins. With engine 2 x 20 hp Michelle can navigate really fast. Michelle is 11.00 m long and 5.90 m wide. Draft is 1.10 m. Find more boats by going to this section: Catamarans Palma de Mallorca. 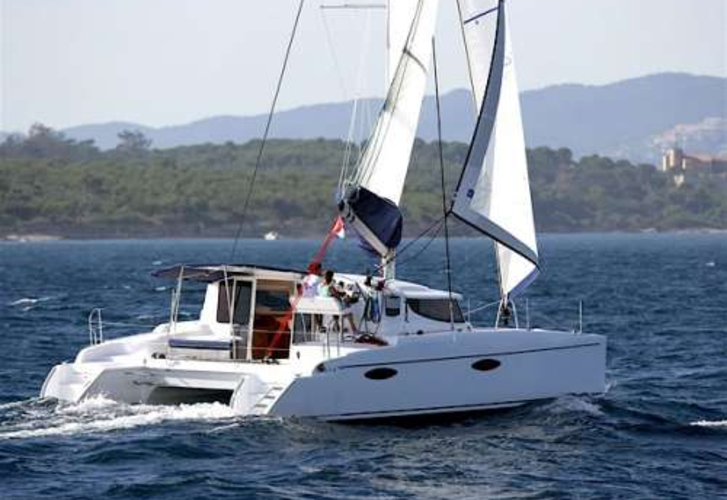 Yacht's equipment includes : Autopilot, Gps, Gps plotter, Bimini top, Dinghy, Anchor electric windlass, Teak cockpit, Radio / cd player. . Nonrefundable deposit has value 2500.00 EUR. 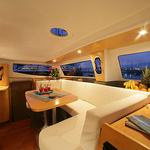 Choose our offer and enjoy your holidays on the deck of Michelle. 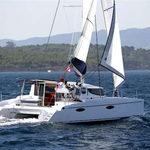 This Mahe 36 from Palma de Mallorca from Balearics Check by going to this section: Catamarans Balearics.